The increasing mobile advantage has touched every industry including e-publishing services. Few years back, usage of mobile content was considered optional for publishers and content creators. But, the market dynamics have changed now. 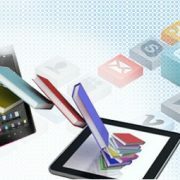 The current mobile technology has made it imperative for the publishing professionals to go mobile. Traditional print media is making way for the growing impact of mobile content for smartphone users. It has transformed the way information is consumed by the audiences. Hence, publishers should also embrace mobile content to engage the readers and professionals. With the evolution of mobile technology and its application across the industries, users are struggling with burgeoning information overload. At the same time, the patterns of information consumption have also evolved in the past decade. The number of smartphone users is increasing exponentially and is anticipated to grow at the same pace. 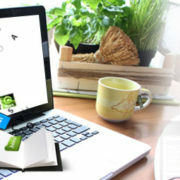 It has opened newer opportunities for e-publishing companies. Mobile content can lead to effective communication with the existing as well as new audiences. The mobile learning industry is also improving and is expected to reach $38 billion by the end of 2020. Thus, it comes as no surprise that publishers are moving to mobile devices. 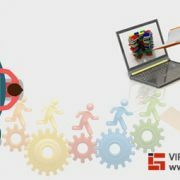 They are looking to avail great benefits from this convergence of technology. 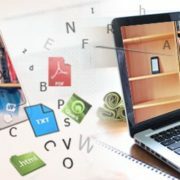 With enhanced connectivity, the accessibility of content can tremendously increase across the mobile devices. This, in turn, will enhance the outreach and recognition of a brand. Unlike traditional printed content, mobile access can augment overall user experiences on the go. The data-driven mobile learning modules create innovative content. It integrates device-specific functionalities and features for better learning and retention through consistent engagement. When your business content gets personalized according to its targeted audiences, it can enhance the revenues and productivity. Also, it opens innovative avenues of growth for publishers and authors. 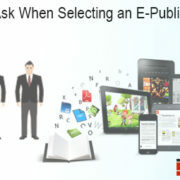 How to Leverage Mobile Technology for E-Publishing? An effective content marketing strategy can help you gain access to newer markets through mobile technology. However, you need a comprehensive strategy for aligning the brand perception with your publishing objectives. The professionals prefer seamless mobile access where they can read content on the go. Hence, you should present your content on the secure platforms having dedicated mobile web access. 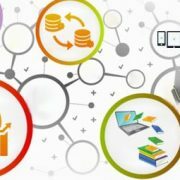 The app where you are hosting your content should offer unique learning experiences for the audience. It should enrich their knowledge and retention through additional resources like tips, author notes, and scripts. In fact, you should consider providing maximum information in a well-defined manner to the readers through an effective mobile app. With the rise in the number of mobile users, social interactivity has also converged on this landscape. Hence, it becomes imperative for publishers to exploit this resource intelligently. They can promote publications on the social media platforms where their targeted audiences are easily available. With a brilliant representation, your mobile app can allure more readers. You must redesign the book covers and content style for mobile applications. It should be responsive and optimized for mobile searches. These are some robust strategies that you can follow when moving your publishing business to mobile. 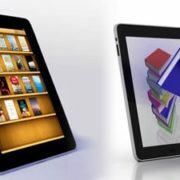 At Infognana, we provide comprehensive services for e-publishing companies and publishers, looking for unification of their business with mobile technology. https://www.infognana.com/wp-content/uploads/2017/02/e-publishing-services-1.jpg 255 680 Infognana https://www.infognana.com/wp-content/uploads/2017/02/Logo.png Infognana2017-02-06 12:56:112017-02-09 08:00:12How Can Publishers Leverage Mobile Technology? How to Leverage a Primary Social Media Channel for Selling More Books? Why You Need An Author Assistant To Sell Your Books Fast?